Louie Cruz Beltran and his Latin Jazz Orchestra will headline 24th STreet Theatre’s free, annual Dia de los Muertos block party on Sunday, Nov. 2., from 6-10 p.m. Celebrate the joyous tradition of Mexico’s Day of the Dead 24th STreet style, with music, dance, homemade tamales, face painting, crafts booths and a graveyard where families can make their own altars for their departed loved ones. Chris Walker, writing in JazzTimes magazine said Beltran “seized attendees’ attention with percolating percussion, stimulating chanting choruses and searing brass arrangements.” Louie was also a hit at the Sunset Jazz Festival (formerly the Concord Jazz Festival), wowing the large crowd with his dynamic rhythm and vocals. 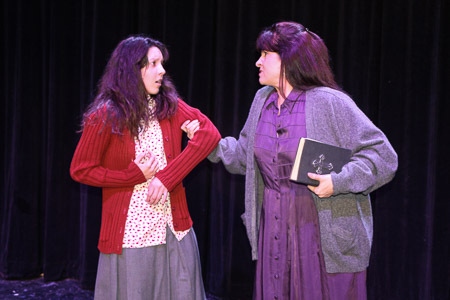 Most recently, Louie performed at the Los Angeles Philharmonic/Hollywood Bowl Summer Sounds Series, captivating young and old alike with his passion for performing — and making the acquaintance of 24th STreet Theatre’s Devine who was directing the series. 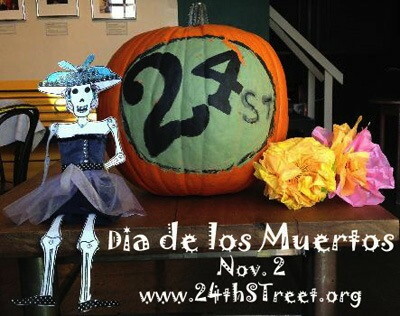 Set to headline 24th STreet Theatre’s free annual Dia de los Muertos block party on Nov. 2, 2014 from 6-10 p.m. Celebrate the joyous tradition of Mexico’s most famous holiday with music, dance, homemade tamales, face painting, crafts booths and a graveyard where families can make their own altars for their departed loved ones. Information at (213) 745-6516 or at their official site here. North Area Neighborhood Development Council and City of Los Angeles, Department of Cultural Affairs.